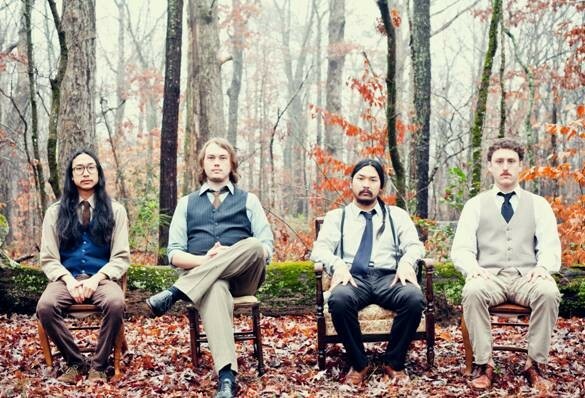 You've probably come across Atlanta quintet O’Brother one way or other these last 3 years. Could it be that you caught them when they were touring their 2011 debut album Garden Window with bands such as Thrice, Moving Mountains and La Dispute? Or could it be from their month long tour with experimental rock band Junius? Well, if they haven’t caught your attention before, then they probably will now. A mere 2 years since their debut, sophomore release Disillusion looks set to be the medium which transports them from frequent support act to headlining heavyweights - something which ambitious lead vocalist Tanner Merritt has had firmly in mind since Garden Window. As with most of the finest songs that have ever been penned, “Context” came together in one sparkling moment of clarity following what was effectively a standard jam session. From the crunchy, distorted opening riff, any concern that the bombastic O’ Brother of old has disappeared is dissipated, and if the ease with which “Context” was created filtered through to the rest of the album, Disillusion is certain to fulfil and possibly even exceed Tanner Merritt’s goal. Check out the new song right here, then come back and check out the full album review on August 20th.